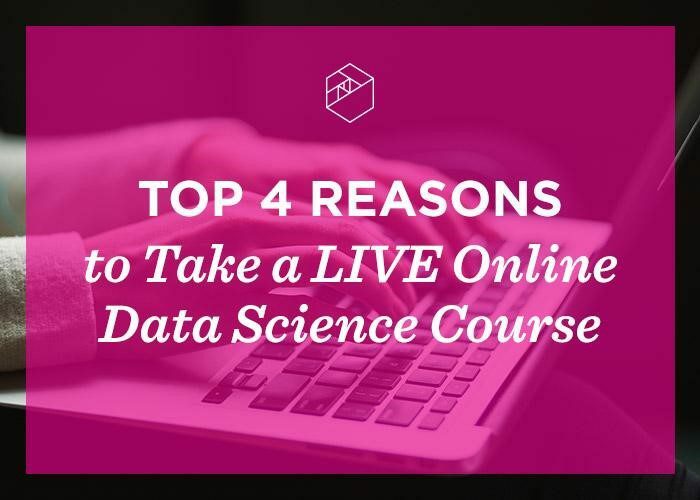 Data science education is readily available and live online courses are a great way to begin. Metis 20% off all part-time, Live Online courses offer ends Sep 23 - Get started today. Let’s get the obvious one out of the way: by learning data science, especially the fundamentals (SQL, R, and Python), your career will be on a fast track to success. Whether you’re looking to pivot your career into data science (and make more money! ), or skill up to get ahead at your current job (and get a raise! ), these skills will prove to be invaluable. Data science education provider Metis offers part-time, Live Online courses for a reasonable price - from anywhere between $499 and $1,500. In the grand scheme of things, this is a relatively small investment in your future that will pay off big time. In fact, Metis is offering a 20% off discount on all of their live online courses this week only. You can learn more about their courses, and redeem this offer here. By choosing a Live Online learning experience, you can skill up from anywhere, on your own time. This is a major perk for busy working professionals who can’t take time off to attend an in-person course. There are a variety of online data science course providers, and we caution you to choose wisely. Make sure to do your research, read testimonials, read reviews on SwitchUp and Course Report, and vet course instructors. Metis is overseen by ACCET, an accrediting body, which means, as an institution, they’re held to a high standard of excellence. Not only are all Metis part-time, professional development courses accredited, but graduates also receive three Continuing Education Credits (CEUs) at the completion of the course. In this way, Metis courses are a perfect choice for professionals who have continuing education stipends from their employer. Online (recorded) classrooms and Massive Open Online Classrooms (MOOCs) offer the same learn-from-anywhere flexibility, but they lack engagement and real-time Q&A. It’s easy to blend into the crowd and slack off when you’re 1-in-12,000 instead of 1-in-60 students. Furthermore, MOOCs instructors often lack real-world experience and proper credentials. Do you really want to learn from someone just marginally more qualified than you? Metis Live Online instructors, on the other hand, bring deep industry experience from a broad range of companies including Viacom, Spotify, and Capital One Labs. You can interact with them and your fellow students LIVE and online, in real-time, throughout the course. Stay engaged by asking questions and participating in polls and conversations, and join your course-specific Slack channel for additional support, communication, and collaboration. Recordings are available for those that miss a class! There’s no time like the present to get your data science education started. Read an interview with a recent graduate here to learn more about the Live Online experience, or, check out another Live Online alumni who used Metis’ Beginner Python & Math course as a launching pad to skill up for the Metis 12-week data science bootcamp. Metis’ 20% off all part-time, Live Online courses offer ends this Sunday 9/23 - don’t miss out! Get started today.